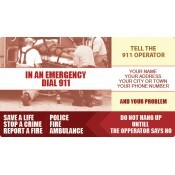 Dial 911 magnets are perfect to promote emergency services and they are designed to offer easy assistance to a person in need. 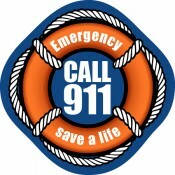 911 is an international emergency number, also followed in the USA. 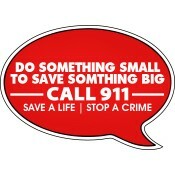 A promotional magnet highlighting various 911 services is definitely going to enjoy a long-term stay over refrigerator doors in homes. 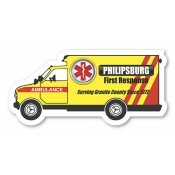 We offer free shipping anywhere within the contiguous USA which empowers small businesses to avail these emergency services magnet at low prices. 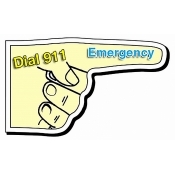 Dial 911 refrigerator magnets make sensible gift items throughout the year because you don’t know when the emergency may knock on the door. 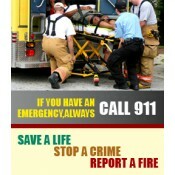 It is not that people do not know this number but it is about reminding them to dial it during emergencies. 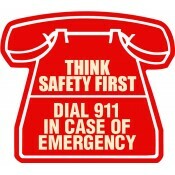 During emergencies, people tend to forget the telephone numbers and end up wasting a lot of time panicking. They can easily cut down this wait time by glancing at their refrigerator door and making the right phone call. These promotional magnets are also perfect for small and medium-sized ambulance services, trying to build their business without overspending on advertising. 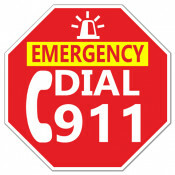 They can easily seize a large chunk of profits from their big-budget competitors by giving any of these promotional emergency services magnets. We offer free full-color printing which allows advertisers to use many imprint colors as they wish without the additional setup charges. 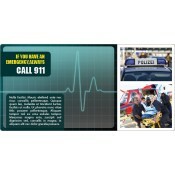 This selection features some of the best-seller of promotional emergency services magnets ordered by services over the years. However, that does not put a full stop over experimenting with other types of customized magnets such as custom shaped magnets, circle magnets, oval magnets and more. 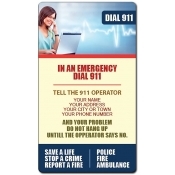 Emergency services can avail these 911 emergency services magnets for bulk giveaways because we offer attractive discounts on such orders. Avail free art setup and free online design proof on these customized magnets and all other emergency services magnets in our selection. We use high quality, lightweight magnetic stock material for building our promotional magnets. 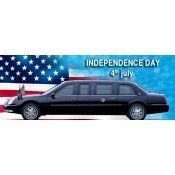 This means marketers can easily employ them for bulk mailing or distribution during mass events. To know more about design, shipping or anything else about these promotional refrigerator magnets, feel free to contact us at 855-762-4638 (Toll Free) or write to us at info@CMagnets.com.